The Fall Festival is a wonderful opportunity for everyone to enjoy many great activities that the fall season brings our way. It is a festival designed for family entertainment and community involvement that brings back old fashioned & classic games and activities. It features a stage of entertainment and musical performances; as well as food vendors/trucks, craft booths, game booths, beer & wine garden, and fun for the whole family in a small-town atmosphere. To apply for a Fall festival booth, the Chili Cook-off, Entertainment and Pie Contest, please completely fill out the online forms. The Fees associated have to be paid for separately under the Payments tab after you've finished the online form. 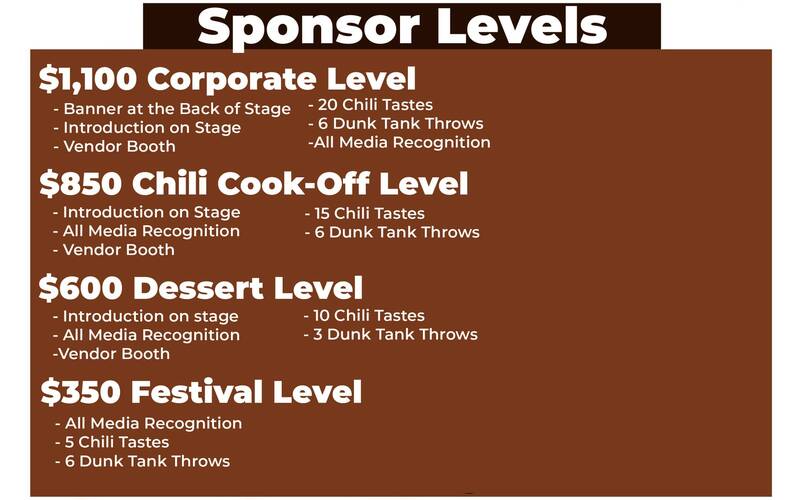 We've also included booth ideas and a downloadable version of the contracts and agreements for the booths, performances and chili cook off.